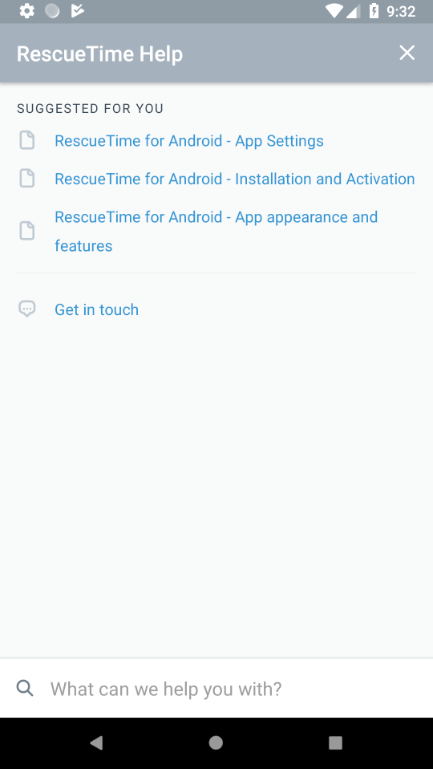 The RescueTime app for Android gives you the ability to view and interact with your RescueTime data on your Android mobile device. The home screen displays your total logged time for the day along with a list of your top three activities. 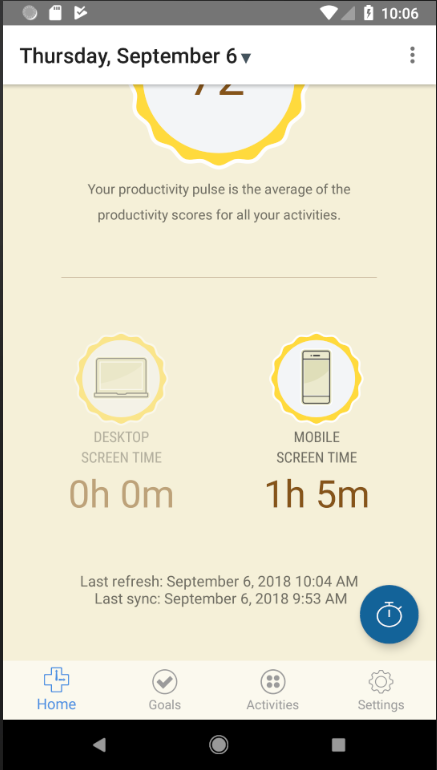 Scrolling down the pane will show you your productivity pulse, a breakdown of your desktop vs. mobile time, and data sync information. 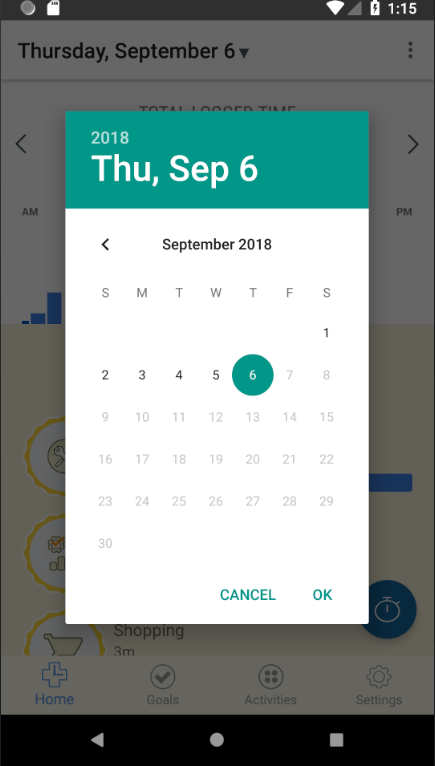 By default, the home screen will display the current day’s data. You can navigate forward or backward by one day using the < and > symbols to the left and right of the report of total logged time. To refresh the screen data or to access help functions, press on the three vertical dots on the upper right of the home screen. This opens a small modal window. “Refresh” will push your latest tracking data to the server, and pull the latest reports from the server (unless you have done a push or pull very recently.) 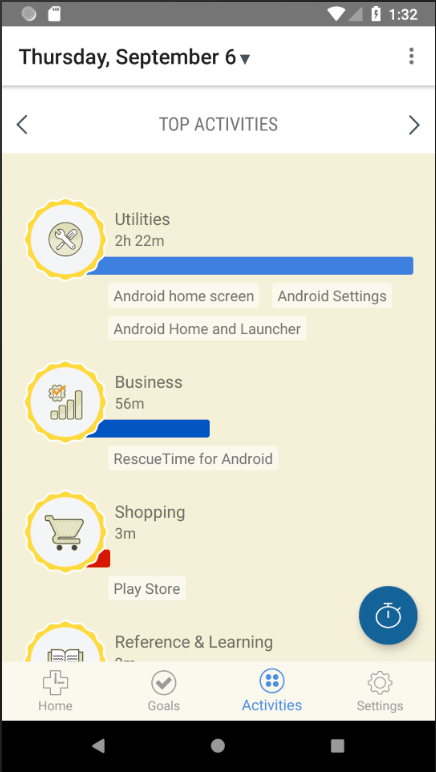 “Help” will bring up screens with help information. 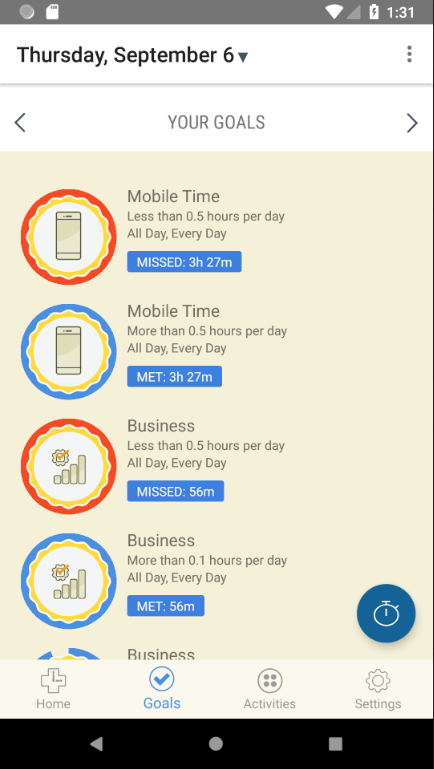 The offline time activity options will be populated by the labels of the standard computer offline time pop-up, as managed on the Offline Time Settings page (if you have this option enabled in the app settings). 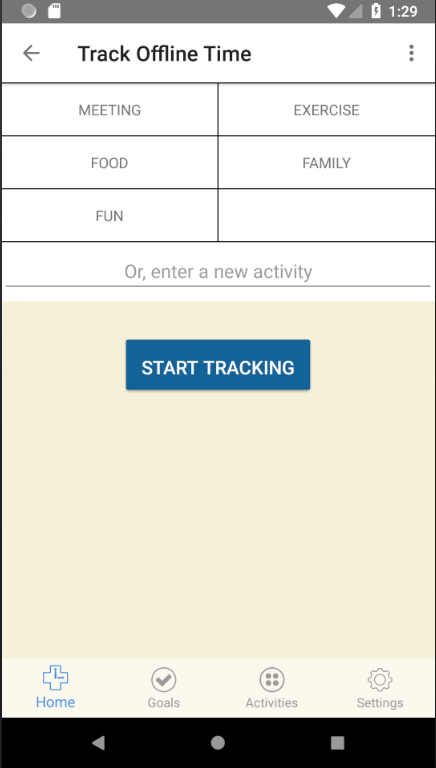 You can choose one of them or enter a new activity, then press the “Start Tracking” button to begin logging. 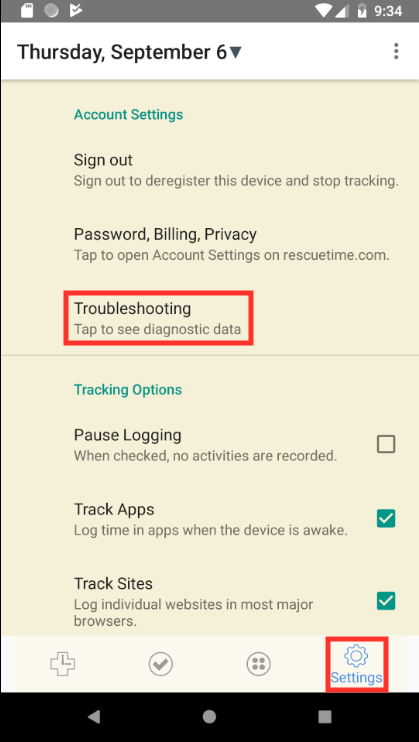 When you are done with the activity, you can return to this screen and press “Stop Tracking”. 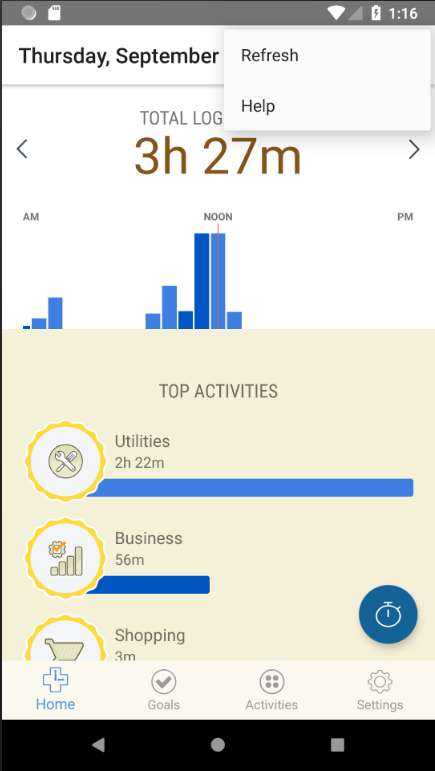 The goals pane is accessed by pressing on the check mark icon on the bottom of the main screen. 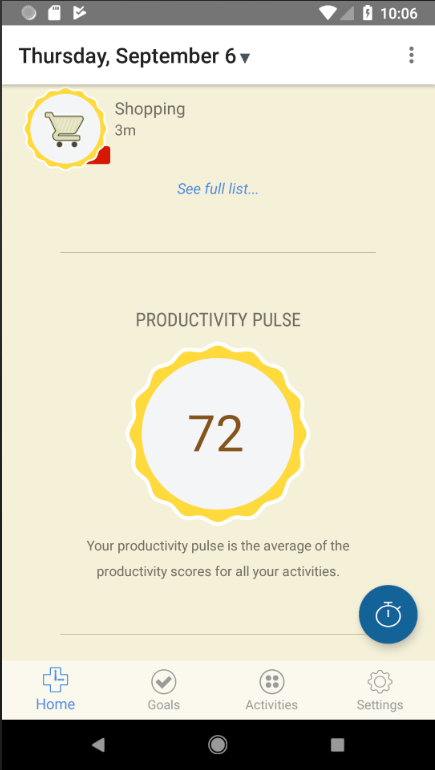 This will take you to the goals screen showing your goals and your progress towards them. 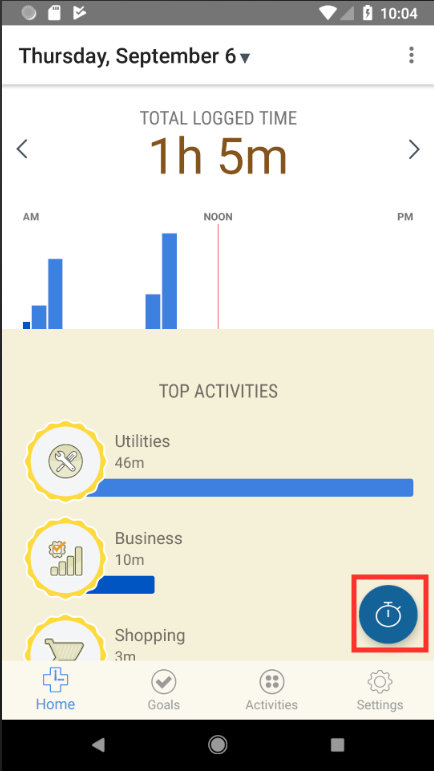 To see a fuller list of your activities, press on the button icon at the bottom of home screen. This will display a listing of top activities by category.